Whatever your work, whatever your position, this conference will help equip you as a Christian in your sphere of influence. Hosted by HTB & Alpha International, from the Royal Albert Hall, next year with a South West hub at St Matthias Plymouth, connecting the main speakers via video link, and a localised programme of seminars. The Leadership Conference invites you to two days of equipping, ministry and worship. Join us as we play our part in the evangelisation of the nations, the revitalisation of the Church and the transformation of society. The Leadership Conference is for you! Whether you are a Church leader, business leader or an aspiring one we want to welcome you and your leadership teams, and Christian leaders in any and every sphere – both in and outside the church. Michael Todd has been the Lead Pastor of Transformation Church in Tulsa, Oklahoma, since Feburary 2015, when he was entrusted with the church's leadership by its founding pastor after 15 years of operation. Pastor Michael's personal philosophy and driving passion is re-presenting God to the lost and found for transformation in Christ. He aspires to reach his community, the city and the world with the gospel presented in a relevant and progressive way. Michael is married to Natalie and they have three beautiful children. Rebecca started her career in banking and consulting, with HSBC and then Ernst & Young, before moving in to the field of executive search. She led the finance practice for the London office of Heidrick & Struggles, then joined Alpha International as Head of Alpha UK. Over the following twelve years Alpha and HTB grew significantly and Rebecca served as Chief Operating Officer and Chief of Staff before being appointed as Group Chief Executive of the HTB Group. In 2015 Rebecca founded Goldstar Partners, specialising in recruitment and strategic consulting in the non-profit sector. Rebecca is married to Alex and they have two children. Nicky Gumbel is Vicar of Holy Trinity Brompton (HTB), an Anglican church in central London across 4 sites with a regular attendance of 4,500 people – most aged between 18 and 35. He is the pioneer of Alpha, an introduction to the Christian faith. Since 1993, millions of people have completed Alpha and it has been translated into 112 different languages. He is married to Pippa, and together they write a commentary on the Bible in One Year, which has been tried by over 3.5 million users. Alongside her husband Craig, Amy Groeschel co-founded Life.Church – an innovative, pacesetting church meeting around the United States in multiple locations and globally online. Amy leads the Life.Church women’s ministry and is also the founder of Branch15 – a non-profit housing ministry that provides care and support to women on the path to recovery. She has authored Bible studies for women, including The Pursuit, The Hope and The Call. With a passion to see marriages strengthened and restored, Amy and Craig co-authored From This Day Forward: Five Commitments to Fail-Proof Your Marriage. The two have been married for 28 years and have six children and one grandchild. Originally from Northumberland, Charlie Mackesy preferred feretting, drawing cartoons and swimming in the River Tyne to attending school. After two false starts, he did eventually go to university, studying the relationship between fine art and theology at Cambridge. Charlie has lived and painted in South Africa and America, at one point making endless studies of jazz clubs and gospel bands in New Orleans. He worked as a cartoonist for The Spectator and a book illustrator for Oxford University Press before being taken on by galleries, and has since exhibited drawings in New York and Edinburgh and London, where he now lives in Brixton. David Oyelowo is a classically trained stage actor who is working successfully and simultaneously in film, television and theatre. Notably, he received critical acclaim for his portrayal of Dr. Martin Luther King, Jr. in the 2014 film Selma, for which he received a Golden Globe nomination. In 2000, he played the title role of Henry VI, becoming the first black actor to play an English king for the Royal Shakespeare Company. Jessica Oyelowo’s career began in theatre, appearing in West End productions including Hurly Burly alongside Andy Serkis. She went on to star and support in many BBC television productions before she and her actor husband David moved to the USA with their four children. She has worked with Tim Burton and Johnny Depp, and in 2016 she made her writing and directorial debut with the short film, After the Storm. Jessica has developed her passion for storytelling into content creation and now gets behind the camera to see her love of stories, music and the complicated truths of life come alive on the big screen. Anne Thorne is a headteacher of Longcause Community Special School for children and young people with communication and interaction needs. She has two grown up children of her own. Anne has led the school for 9 years through times of great adversity and change. She is resolute in developing positive, safe school cultures where children and staff thrive. The last 9 years have taught her that God does immeasurably more than we could ever imagine and that when we as leaders don’t know what to do we simply need to fix our eyes on him. Chris Murray has been a farmer for 46 years. He introduced the UK’s first guided open farm visits at Riverford Farm. He opened Pennywell Farm with his wife Nicky in 1989. Since then the farm has welcomed almost 2 million visitors and received many awards including a Green Tourism Business Scheme Gold Award. Chris has served as Chairman of Devon Association of Tourist Attractions and is a Director of Visit South Devon. He is a patron of Children and Families in Grief and a trustee of Time for Families. In 2011 Chris was made Associate of Royal Agricultural Societies and received an Honorary Doctorate in Business from the University of Plymouth. In 2014 Chris received a Commendation from the Chief of the Defence Staff, the professional head of the British Armed Forces, in appreciation of the complimentary visits to Pennywell provided for Service families. Jeff Stephenson is a Consultant in Palliative Medicine, working for the last 16 years at St Luke's Hospice Plymouth, where he was Medical Director from 2012 until 2019. Before qualifying as a doctor at Cambridge University he got a degree in engineering, ran a guest house and worked as a trainee chartered accountant. He enjoys running, writing and preaching. Jeff is married to Lois and has four adult children. Phil Burgess is a Director and co-founder of the Architects Design Group, a business that was formed in 1985 by a group of friends who met and became Christians while studying at the Plymouth School of Architecture. Phil sees business as an agent of God’s kingdom, revealing the nature of God as a generous, compassionate and creative provider. In addition to professional and pro bono work in the UK, the practice has given support to Christian projects in Guyana, Africa and Romania. 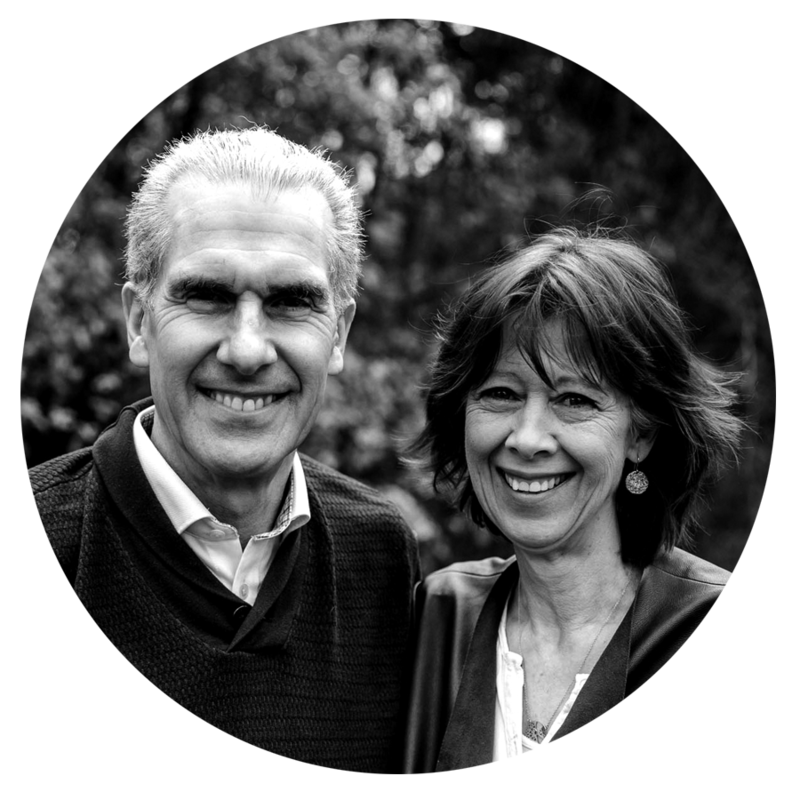 Mark Pugh is Lead Pastor, with his wife Nita, of Rediscover Church Exeter. He has been in church leadership for more than 25 years. He led Elim's national youth ministry for 10 years and has served on Elim's National Leadership Team (2010-18). He believes in team and seeks to inspire and empower those around him to step into their God-given potential. Mark and Nita have three children and two dogs. Nick McKinnel became Bishop of Plymouth in 2015 having previously served in London, Liverpool, Hatherleigh and then as Rector of St Andrew’s Church, Plymouth from 1994 to 2012. He was Bishop of Crediton from 2012 to 2014. He is married to Jan and they have four children and six grandchildren. He grew up in East Devon, studied law and worked for the development agency Tearfund prior to ordination. His interests include fishing, playing cricket, art, the theatre and walking with their two cocker spaniels. Revd Dr Donna Lazenby is Director of St Mellitus College, South West and Tutor and Lecturer in Christian Spirituality and Apologetics at St Mellitus College. She completed the BA in Philosophy and Theology, MPhil in Philosophy of Religion and PhD in Theology at Cambridge University’s Divinity Faculty. Her doctoral thesis won a John Templeton Award for Theological Promise in 2011. Between 2015-2017 she pioneered and led The Hayes Church, a fresh expression of Church and Church plant, in the Diocese of Southwark. Donna is married to Chris Thomson who is Consultant Pioneer Priest for the Diocese of Truro's Transforming Mission Project. Olly Ryder is the Vicar of St Matthias Plymouth, a city centre resource church planted from Holy Trinity Brompton in 2016. The church now has a weekly Sunday attendance of 500-600. He is married to Ali and they have two young daughters and an enthusiastic Springer Spaniel called Badger. He loves helping everyday people discover a life-giving relationship with Jesus. Calum Davenport is a former Premiership footballer now involved in helping to plant a Church of England church in Whitleigh, Plymouth. He has already started a football team engaging local young people. Calum came to faith on an Alpha course in 2018. During his professional footballing career Calum played for Tottenham Hotspur and West Ham United as well as appearances with Southampton, and Norwich City. Reuben Crossley is a curate at St Matthias Plymouth. He has a BA in theology from St Mellitus Theological College, London. He previously spent 20 yrs as a Physiotherapist - including 10 years as a Clinical Specialist at Derriford Hospital. He loves walking the moors with his collie. He is married with two teenage daughters. Philip Mounstephen has been Bishop of Truro since January 2019. Prior to that for six years he led the Church Mission Society, a global community committed to pioneering mission. Before that he pastored a multi-lingual church in central Paris. He's passionate about Cornwall, Noggin the Dog, and seeing churches and their leaders transformed by and for the good news of Jesus. Geoff Lee is Senior Minister of Plymouth Christian Centre, an Elim Pentecostal Church, where he has ministered for the past 20 years. Geoff is originally a Northerner, but now truly loves the South-West. He is married to Jenny, has two kids and a dog and believes – in a classic case of hope triumphing over experience - that he is only marginally slower on a football pitch now that he is approaching his half century. Patricia Wass has over 30 years' experience working as a Solicitor dealing with all aspects of private client law. She is a consultant in the mental capacity team at Enable Law (part of the Foot Anstey Group) and specialises in Powers of Attorney, Court of Protection work and legal issues relating to the elderly and vulnerable. She has acted as a Panel Deputy for the Office of the Public Guardian, one of only 71 people appointed in this role throughout England and Wales. Patricia is the immediate past Worldwide Chair of the Society of Trust & Estate Practitioners. She is recognised as a Top Ranked 'Leader in her Field' by Chambers UK legal directory. Gary Streeter was first elected to Parliament for the Plymouth Sutton constituency in 1992. He served as a whip and minister in John Major’s government and was shadow secretary of state for international development under William Hague’s leadership in 1997-2001. He has held a variety of posts at Westminster since then, and now serves on the Chairman’s Panel chairing all kinds of committee meetings, and is the long-term Chair of Christians in Parliament. He spends much of his time at Westminster mentoring younger Christian MPs of all parties. He was returned to Westminster in 2017 with a majority of 15,816. St Matthias Plymouth is a HTB Resource-Church Plant that launched in September 2016. Jon is the Director of the South West School of Worship, serves as the Worship & Creative Pastor at St Matthias Plymouth and is part of the Worship Central UK team overseeing the South West hub. He is passionate about seeing people encounter God and the local Church set on fire with worship. Jon is married to Rachel and loves sport, penguins, mexican food, earl grey and his cat called Bea! Please click here for a full list of FAQs, if your query is still not answered then please email us here.